The smallest, most powerful, and most versatile GPS receiver we carry just got more powerful.The Venus638FLPx is the successor to the Venus634LPx and has improved sensitivity and a faster update rate. 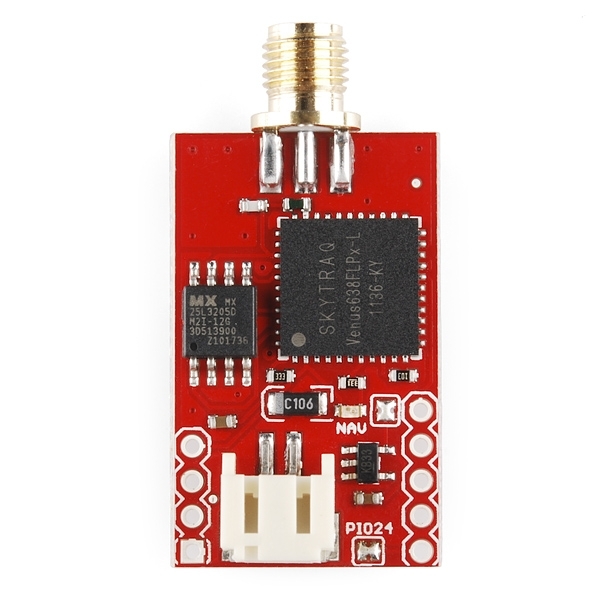 The new module can be configured to an amazingly powerful 20Hz update rate. 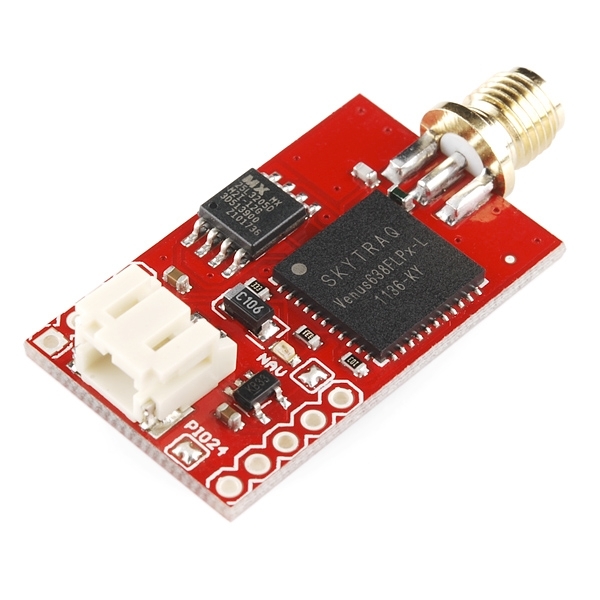 With 29mA operating current and high sensitivity, this receiver seriously opens new doors for tracking. Module outputs the standard NMEA-0183 or SkyTraq Binary sentences at a default rate of 9600bps (adjustable to 115200bps). 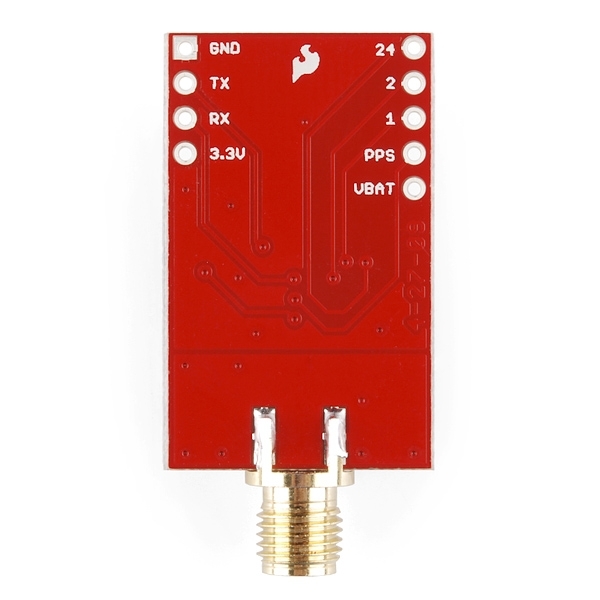 The Venus638FLPx has improved sensitivity, an integrated LNA (with multipath detection and suppression), built-in RTC, and integrated single power supply making it very simple to use. 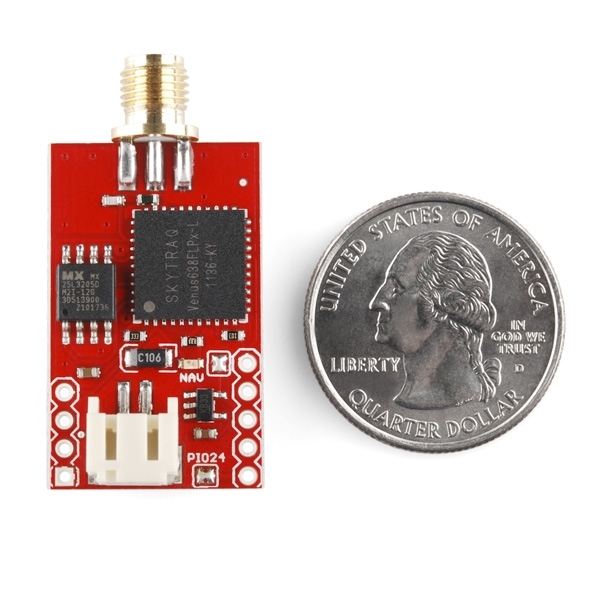 Can be powered by a 3.7V LiPo battery (or any 3.5 - 16V supply) through the JST connector or 3.3V regulated supply.